As a visitor to Malvern, you have a choice of comfortable hotels and cosy Bed and Breakfasts from which to base yourself. In January 2009, AOL Travel voted it one of the top ten places to visit in the world. 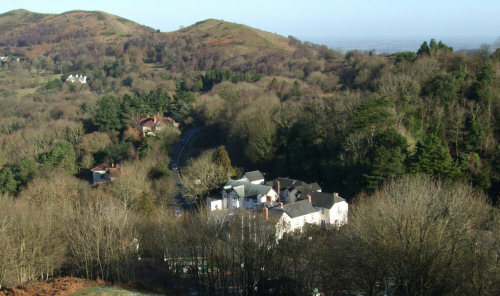 Malvern is accessible by train - being on the Hereford to Worcester line. A tunnel through the Malvern hills enables trains to avoid a steep climb or a long circumnavigation. National Express also run coach services to and from London daily. Driving to Malvern is relatively easy, being a short journey from the M5 and M50 motorways. There is also plenty of car parking and a number of local petrol stations. The nearest airports are Birmingham International (BHX, about 45 miles north east via the M42 and M5) and Bristol International Airport (BRS, about 75 miles south west via the M5). Cardiff International Airport is about 85 miles south west, and Heathrow is about 125 miles south east via the M5 and M4. Fly to and from Birmingham on Emirates.